The event will run from 3:00-6:00pm, with judging between 3:30-4:00pm. 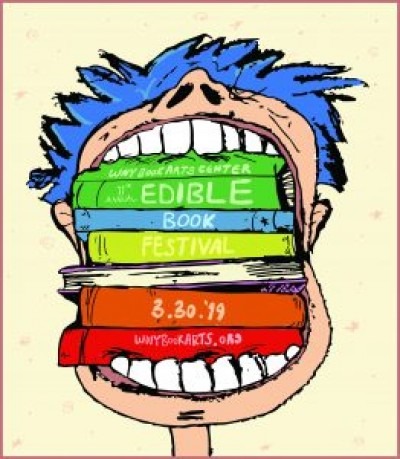 Prizes will be awarded and winners will be announced at approximately 4:30pm in the categories of: Best Book, Best Tasting, and Most Creative. Then we eat our words! Everyone is allowed to partake in eating the exhibits after judging. Children are encouraged to enter, as we have separate categories for kids & adults!